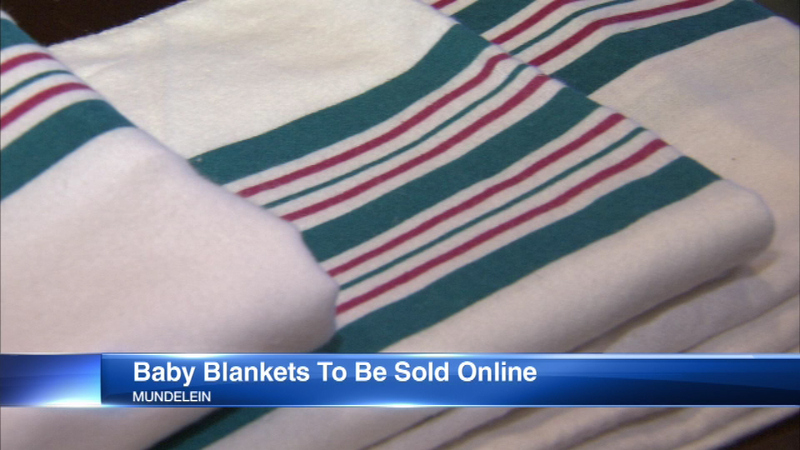 MUNDELEIN, Ill. -- Newborn blankets used at hospitals around the world will soon be sold online. The iconic pink and blue striped baby blankets are made by Medline Industries, which is based in suburban Mundelein. They have only been sold to hospitals, but after receiving attention through baby pictures posted online, the company decided to sell them on Amazon. The pink and blue design came about years ago during an impromptu focus group with some mothers who worked at Medline.